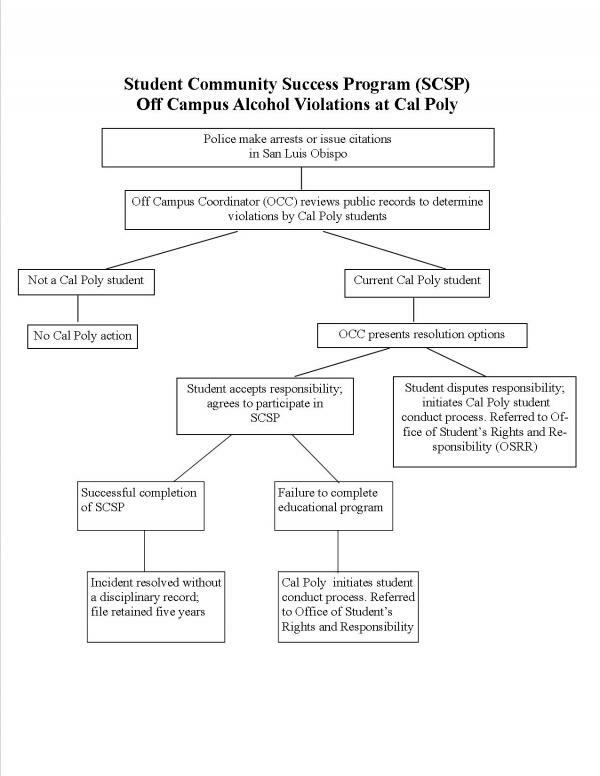 The Student Community Success Program is a program under the Dean of Students Office for students that have received an alcohol arrest/citation or noise citation off campus. This program is designed to inform and educate students on issues related to the San Luis Obispo Community and inspire students to make positive decisions off campus. Promoting safety, neighborhood wellness and community involvement in the City of San Luis Obispo. Encouraging students to be positive community members of the San Luis Obispo Community through active participation. Bringing awareness to the student community at Cal Poly to issues that arise in our neighborhoods and empowers students to be a part of the solution.